Chew-n-Tug 2 Knot | Elk Antler Chew | Wapiti Labs, Inc. Unique chew products for medium breed dogs, this 100% cotton rope holds up to serious rounds of tug-of-war. Our little dogs (Westie and Westie-Scottie mix) think they are big dogs and the Westie/Scottie destroys everything. Not this ‘treat’! They chew for hours, don’t ingest weird things that make them sick and just LOVE their Chew ‘n Tug 2-Knot (Mom loves it too)! They’re not real good at sharing though … gonna have to buy another one! Thank YOU Wapiti Labs! 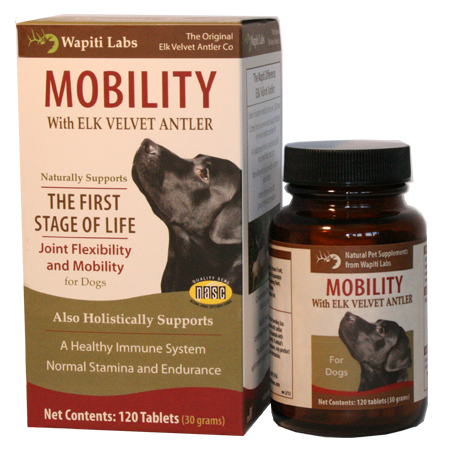 You are buying the best for your pet when you purchase a Wapiti Labs Antler Chew. The elk are raised in a completely pollution-free, natural environment.